You can thank Mr. Eric Frigon for nominating me to do the #fivedayblackandwhitechallenge. Over the next five days you can find a collection of recent images I've put together for this little challenge! Lucky for me, I love black and white photography, so without further ado, it's time to get sharing! 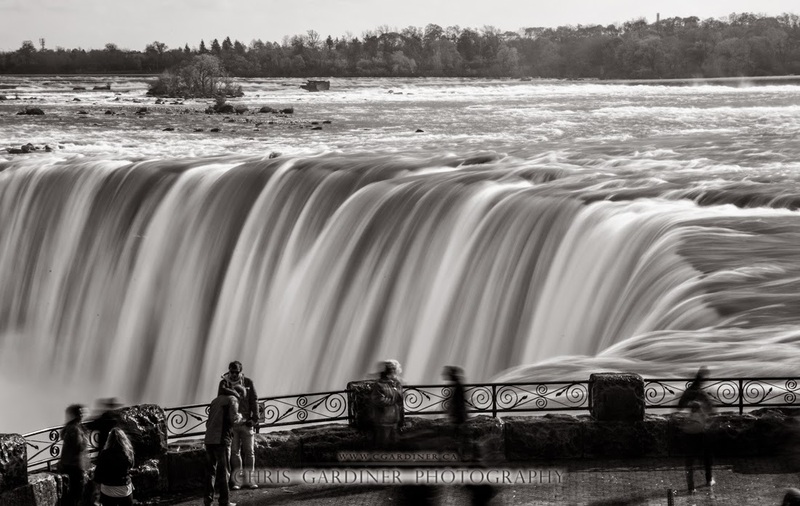 Eric nominated me with a stunning black and white of beautiful Lake Louise, so I'll start off with another one of Canada's natural beauty tourist destinations, Niagara Falls. I captured this long exposure of the Horseshoe Falls just two days ago, using a neutral density filter to counter the bright sunlight.